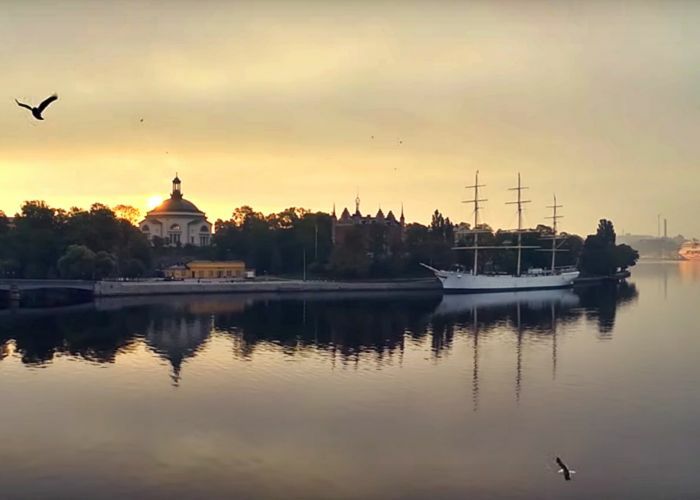 With a considerable number of islands and peninsulas at the outflow of Lake Malar into the Baltic Sea, Stockholm is also called “The Venice of the North” and it has a well developed tourism also because of the impressing architecture, world-class museums, galleries and theaters. The best attractions here are the three UNESCO World Heritage sites, Birka, Woodland Cemetery and Drottningholm, but also places like the Old Town, the Royal Palace and the Royal National City Park. All of these are worth visiting, but what about visiting the city in some different ways? What about some interesting tours of the city depending on what you want to see the most? Here are some great ideas of activities for all the preferences that will make your vacation an unforgettable one. 1.If you are in Stockholm just for few days, choose a one day sightseeing tour to see the main attractions of the city. So you can make a coach ride which will lead you to the Royal Palace, the Vasa Museum, the City Hall and to the Royal Djurgarden. This will take about 1.5 hours, so you have time to board in a canal boat and make a cruise around the island archipelago. Along the canal, the views are stunning and you will also see other buildings and museums of the city. 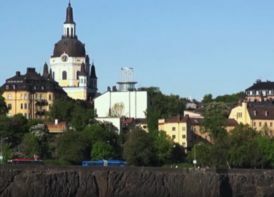 When turning back, you will enjoy the amazing panorama of Stockholm skyline. 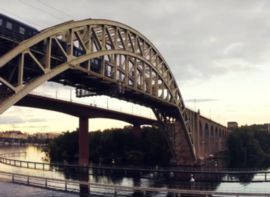 2.A Stockholm Bridges Cruise is also a great idea if you want to spend two or three hours relaxing on a boat while admiring the most breath taking panoramas. The boat will pass under 15 of the most fabulous bridges that connect the islands and the districts of the city and you have the chance to admire the colorful Old Town and take some amazing photos. Then you arrive near the large islands of Sodermalm, Lilla and Stora Essingen, with their amazing woodlands and parks. 3.A Wildlife Safari from Stockholm will make your trip the best one! You will discover Sweden’s forests and wildlife during a 4 hours sunset safari through the dense forests, exploring beautiful rich vegetation and seeing the specific fauna, like deer, hares and elks. To observe animals closer, try a short hike but also make a stop to see the Viking rune stones. 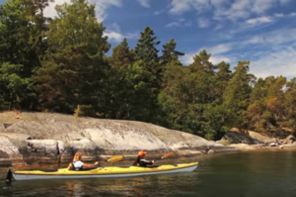 4.Try a full-day kayaking tour in the picturesque Stockholm archipelago, especially if you are an adventure lover and you look for some dynamic activities. You just learn some easy techniques and then you follow the guide, who will lead you to a great trip around the islands. Enjoy the amazing feeling of freedom while you go ahead to the most beautiful surroundings of the city. If the tour involves a stop over an island nearby, relax by swimming or have a great lunch near the sun touched rocks. All of these will make your trip a memorable one, so at the end you can say you visited places, but you also experienced things. So book your flight right now and get ready for a new adventure, but don’t forget to check the complete list of flights to Stockholm on TripEconomy.